Population of Jamaica - How Many Jamaicans live in Jamaica? QUESTION: How many Jamaicans live in Jamaican? Because I know that other cultures, such as Chinese, also live in Jamaica. Can you give me a reasonable estimation? According to the Statistical Institute of Jamaica’s official count (updated May 17, 21012), there are two million, seven hundred and nine thousand, three hundred (2,709,300) Jamaican residents. Of this, one million, three hundred and thirty two thousand (1,332,000) are male and one million, three hundred and seventy-seven thousand, three hundred (1,377,300) are female. 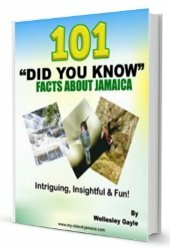 True to its official Motto: "Out of Many One People", the population of Jamaicans living in Jamaica consists of mixed heritages and cultures, due; for the most part; to the island’s rich history. The first known inhabitants of this picturesque piece of paradise were the native Tainos. Europeans; from first Spain, then England, later took control of the island. In order to reap the benefits of the island’s rich resources, slaves were imported from Africa and forced to work on the various plantations. After the abolition of slavery, Chinese and Indian indentured labourers were recruited to continue the work on the plantations, filling the positions that were left vacant by the liberated slaves. German immigrants were also recruited to ease the labour shortage. Each of the various nationalities contributed their cultures and ethnicities, and; through the process of intermarriage and/or interbreeding; the melting pot known as the Jamaican culture and populace was born. As you can see, the Jamaican populace is not limited to one type of ethnicity, but rather a combination of the various cultures that have inhabited the island. Even though there appears to be a predominance of African heritage (based on skin colour, hair type, physical features, etc), the reality is there is a huge ethnic mix of individuals who call Jamaica home, either through birth or naturalization – Out of Many, One People. We hope this helps Tiana.